Team Rural Organics is a Winner! 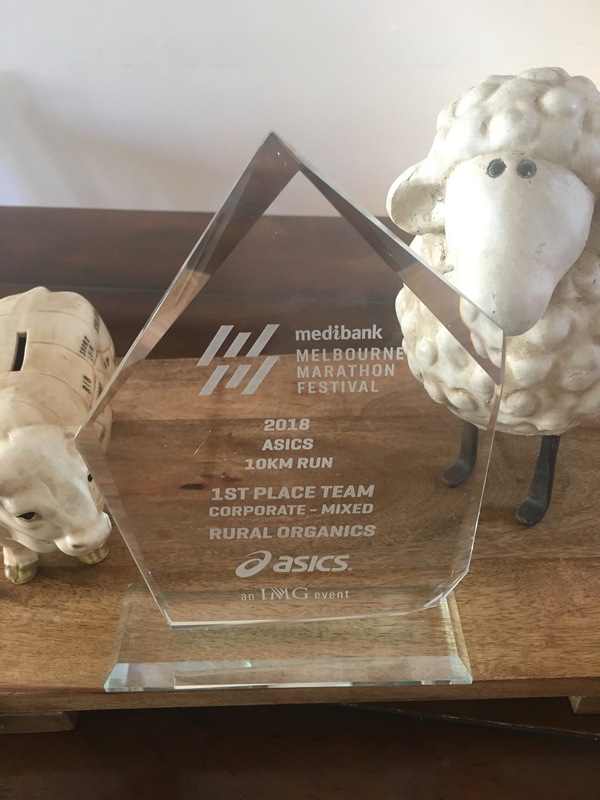 At Rural Organics, we put our Team first, so it was a huge buzz to win the 10km Team category, at the Melbourne Marathon in October. 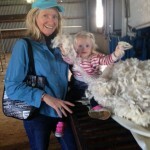 It was Alice, (Janie’s 3rd daughter), who with her competitive juices flowing, sparked the idea to create the Rural Organics Team and try to win their mixed social category, just for a bit of fun. She realized that the winning times from last years team event, were close to the best times her sisters and friends could run, so thought, “why not get a team together and give it a go!” As long as we all gave it our best effort, had fun, encouraged and supported each other, we would have been happy, so it was huge bonus to discover that we won! 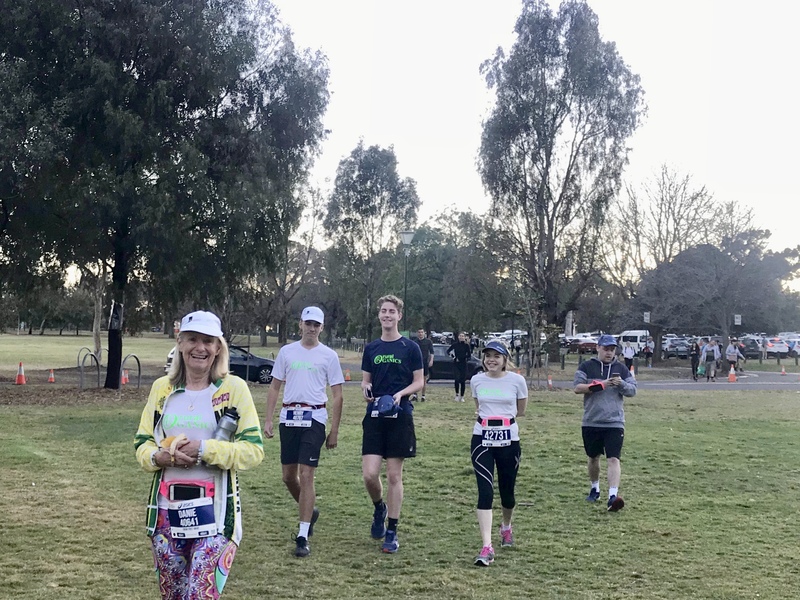 There were eleven team members; Mum, four of her daughters, three grandsons, a granddaughter, and some awesome friends too. 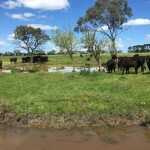 Unfortunately the family property which is one of Rural Organics meat suppliers, along with many Aussie Farms, is currently battling one of the worst droughts in modern history. So this was a much needed and happy diversion which created a great memory for all and lifted everyone’s spirits. In our eyes, as long as you give any challenge life throws at you, your honest, total and best effort to overcome it, you are winning! 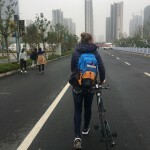 This entry was posted in Uncategorized on February 7, 2019 by ruralorg. 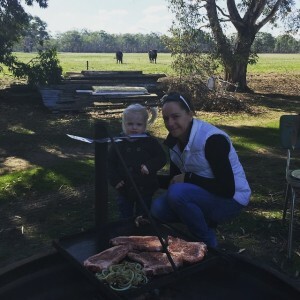 At Rural Organics we are passionate about the people who work with us to bring you amazing quality beef and lamb, from the paddock to the plate. 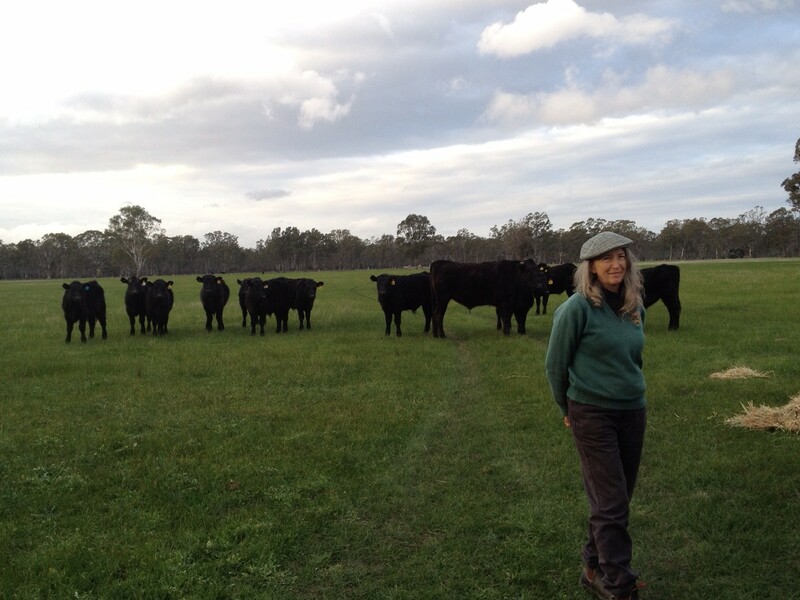 With that in mind, we’d like to introduce you to John and Sue Sambell and their team from Ballangeich Organic Angus. 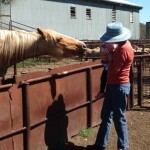 Janie from Rural Organics visiting with John at the farm. 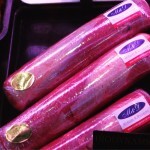 The Sambells know excellent quality meat, it runs in the family. 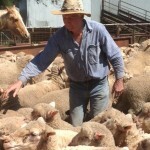 John’s father was a butcher, who with his mother, turned to farming when they bought their property in the 1970′s. 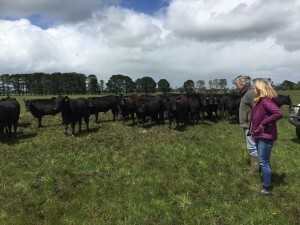 It has since expanded to be 4000 acres, now running 2200 cattle and now their team has also grown to include John, Sue, their son Steven ….and manager Nathan who has been there 11 years. 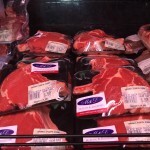 Ballangeich are renowned for producing high quality Angus beef. 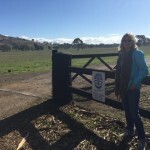 While organic farming practices have been used at Ballangeich for the last 20 years, this was formalised when the farm achieved certification in 2011. 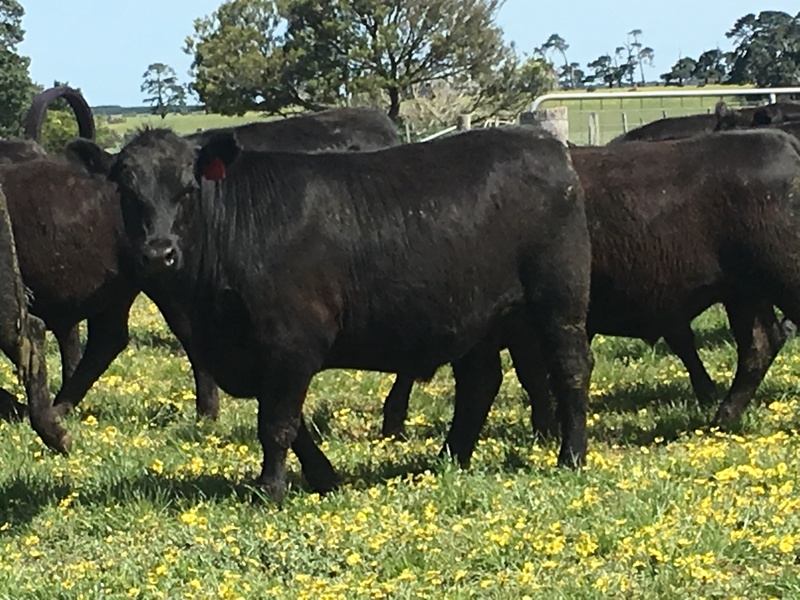 The farmers amongst you reading this will appreciate that John also appreciates diversity in farming, breeding bulls and high quality beef. He did the first lot of Artificial Insemination in 1982 and was one of the first to do power plate calves. 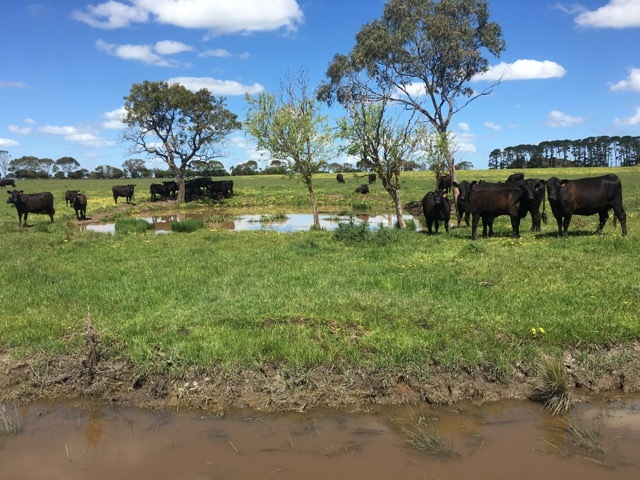 It is easy to see why their meat is amazing and farm successful when you hear John talk passionately about having his first lot of steers come up naturally with no drenching and that he partakes in the Beef and Wheat Field Days going from one end of Victoria to the other. This man loves a challenge! 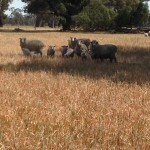 We wish all at Ballangeich the best of luck for the future and welcome them to our Rural Organic Family. This entry was posted in Uncategorized on March 23, 2017 by ruralorg. G’day, it’s Gracie here, writing for Rural Organics. 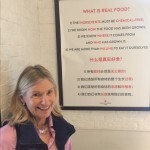 It has always been a dream of Mum’s (founder Janie McClure) to visit China and explore opportunities to export our amazing and delicious Rural Organics Meat. 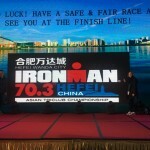 So luckily for me, when I mentioned to Mum that I wanted to go to China to compete it the very first Ironman 70.3. She jumped straight onboard! 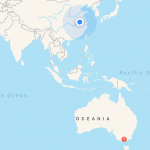 Melbourne to Hefei! Via Google! Real food restaurant in China! 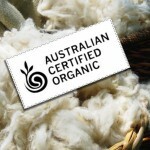 Janie believes the same and Rural Organics is certified organic! Mum wasn’t the only one who was up for the challenge. 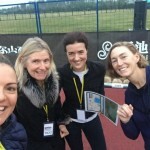 Coach and good friend Annie Martin was also on board to race and a wonderful friend Justine Reanney, who lives and works in Shanghai was delighted at the thought of coming to the triathlon, supporting – and hosting us magnificently in Shanghai afterwards. Thankfully, Johnny was happy to hold the forte at home on the family front and give his support! It was awesome – our future adventure was coming to life. 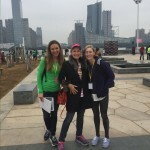 Mum organised work meetings for after the race in Shanghai and our name: ‘Team Hefei’ emerged…. our adventure began. 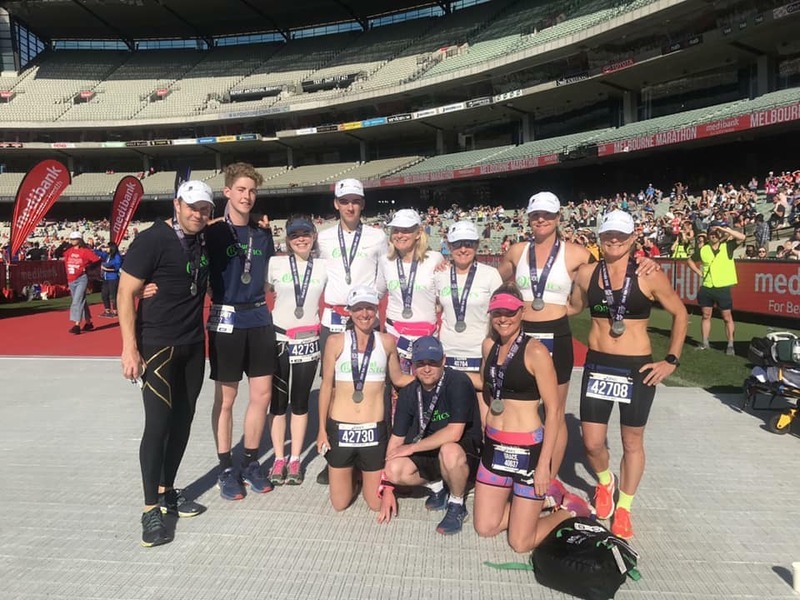 As a bit of background, earlier this year, ‘Ironman,’ the global organiser of Ironman Triathlon races, was bought out by a huge Chinese Company called ‘Dalian Wanda Group,’ China’s biggest commercial real estate developer – (for a lazy 650 million). 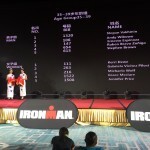 As such, a big part of the direction of Ironman’s growth looks to be heading toward Chinese shores in the future. 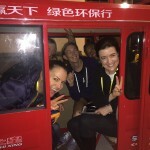 Saving our legs for raceday in a rickshaw! Back up plan if our bikes didnt arrive! 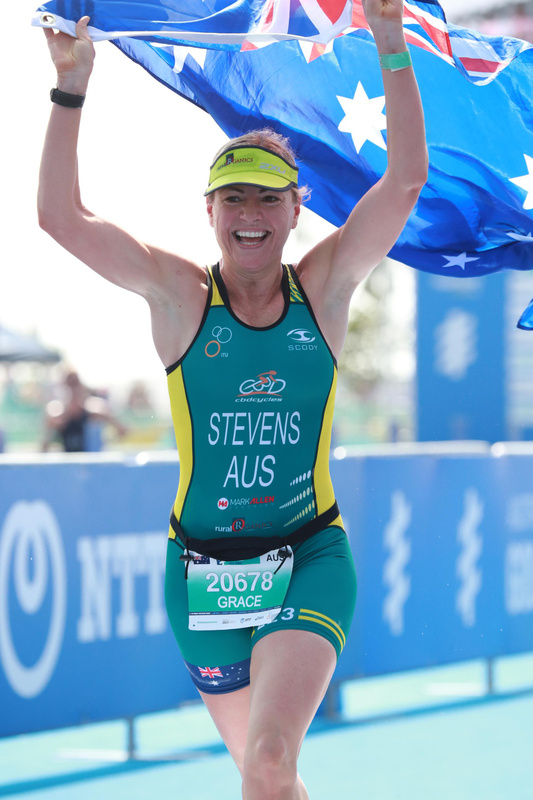 At Swan Lake – The Chinese Government drained the lake and filled it with mineralised water for the race day. Running as fast as I could. The day before the race, bike check-in. 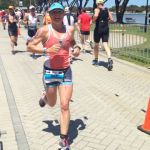 Race day came and went – Annie came 2nd in her age-group and qualified for the Hawaiian Ironman World Championship which is fantastic. 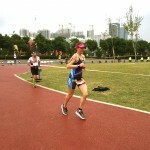 I finished 4th in my age-group and was glad to see some improvements in my racing. 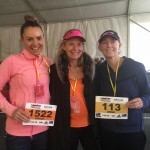 Justine and Mum were awesome supporters! 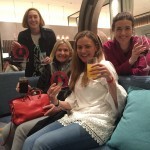 We finished our trip with a few days in Shanghai where we relaxed, took in the city and were delighted to meet Tony Mesiano from Tenderplus and find out more about export opportunities. The Chinese people were wonderful to us. It was a beautiful adventure and shared experience for all. 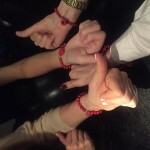 Bracelets Mum bought us – the sisterhood! This entry was posted in Uncategorized on October 31, 2016 by ruralorg. For steak lovers here and around the world, you wouldn’t think it could get much better, or more mouth-watering than an incredible, beautifully-cooked, wagyu steak. Well, we at Rural Organics are here to share with you, a truly exceptional product, made by truly exceptional people….Biodynamic, Organic – amazingly cared for, Wagyu beef, courtesy of Trish and John Stewart and their beautiful farm at the base of the well-known ‘Grampions,’ in Victoria. The Stewart family have been farming beef for generations and now, they specifically concentrate at perfecting Biodynamic Wagyu. 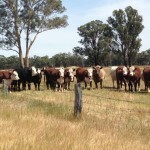 They are passionate about the care of their beef and land. In particular they use a process that is known as “prepared 500” (or biodynamic soil spray) which was originally developed by Rudolf Steiner. The word, ‘biodynamic’ means ‘enhanced organic farming.’ Organic farmers can only be accredited and certified by following strict procedures and taking incredible care of their land and animals. Bio-dynamic farmers take this to another level, with even more enhanced organic farming methods, that are on-song and intune with mother nature and the natural rhythms of life. 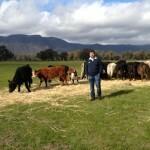 Stewart Family Biodynamic Wagyu Beef, is 100% grass-fed, with with the addition of their own silage, green feed and certified organic hay. 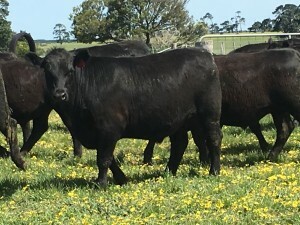 Around 50% – 75% of the beef on their farm is Wagyu, the other being Angus beef. 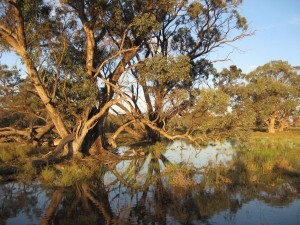 The property is incredibly beautiful and a wholesome environment hence their animals are very quiet and happy. This entry was posted in Uncategorized on February 11, 2016 by ruralorg. 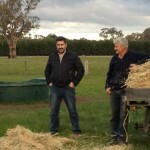 At Rural Organics, we deeply value and appreciate our relationships with our amazing Organic Growers. So, it with great pleasure and excitement that we welcome award winning Organic agriculturalist’s Jo and Don Hearn to the family. 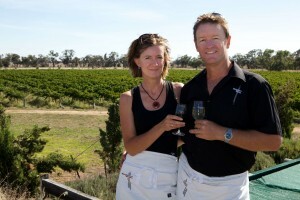 Returning to a family owned farm in 1993 from backpacking overseas for 2 1/2 years , Don and Jo Hearn set to work establishing a 7 Ha vineyard at Jungle Lane, Caldwell, near Barham in Southern NSW. Owning only 2 backpacks full of dirty clothes and 2 Turkish rugs, they used existing farm equipment and hard work, harvesting their first grape crop in 1999. Encouraged that their grapes were being made into medal winning wine, they decided to build their underground winery in 2002, and began making wine themselves. 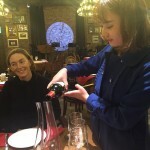 Knowing more about the drinking side of wine rather than the making side of wine, they decided that Jo should study winemaking, which has seen her grow in skill and confidence resulting in medals and high ratings by James Halliday. 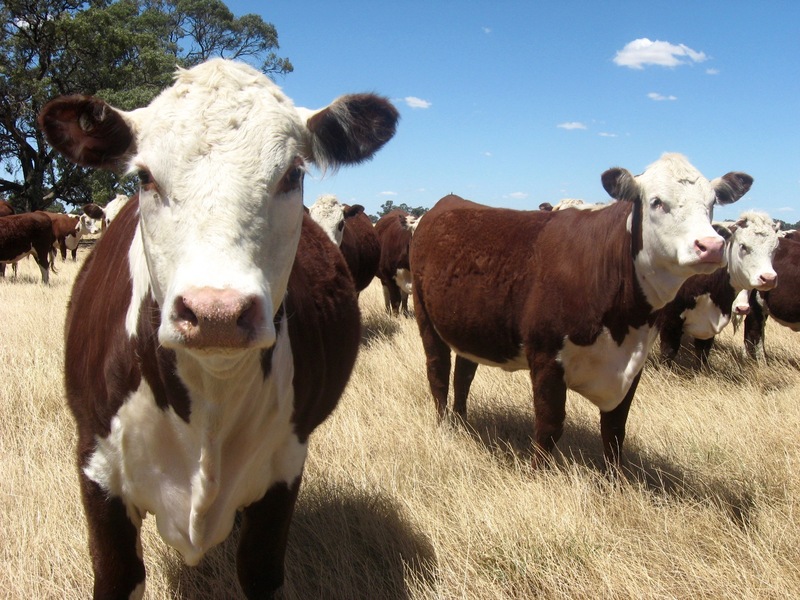 With the retirement of Don’s parents in 2011, Don and Jo took over the family’s 450 Ha beef operation, and have successfully converted the entire beef, grapes and wine operation into being fully certified organic through ACO. 2015 has seen them release their first certified organic wine (a beautiful little Semillon), with the 2016 vintage being their first chance to produce their entire range of wines under their new organic wine label. 2016 will also see the launch of the new beef arm of their business, under the Jungle Lane Beef Co. brand. 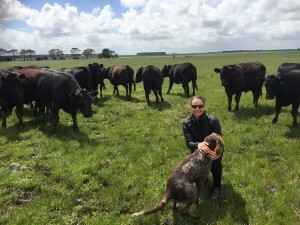 Following the teaming up with Rural Organics (McClure & Daughters) in 2015, Don and Jo have begun supplying butchers and outlets in Melbourne and beyond with beautiful Certified Organic, grass fed Hereford beef. 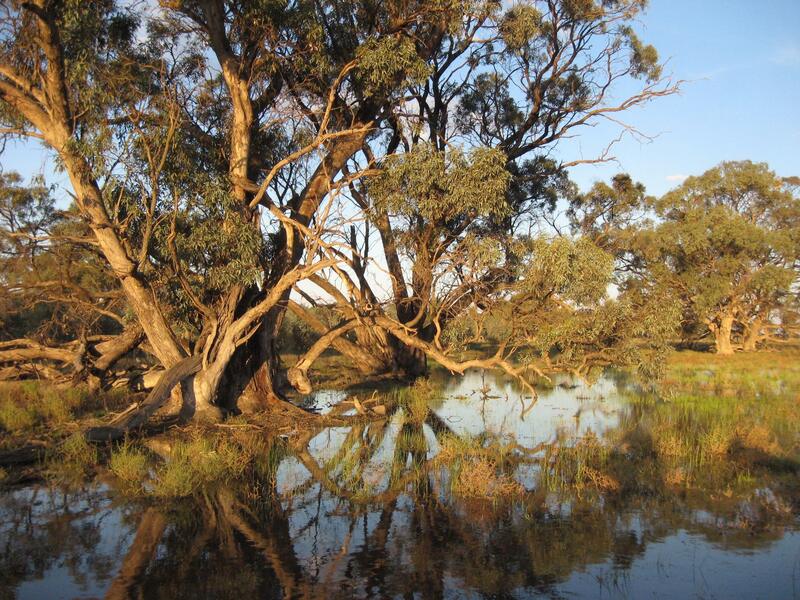 From their cellar door, visitors can have a relaxing walk around their 25 Ha wetland, book in for a local produce lunch platter, taste wines and take home some beef for dinner as well. This entry was posted in Uncategorized on December 17, 2015 by ruralorg. 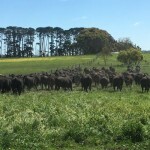 Organic growth isn’t only about plants and animals, businesses grow organically too and that’s exactly what has happened here at, ‘Rural Organics.’ We are proud and happy to have expanded and evolved to creating and supplying our own brand of amazingly, delicious and nutritious, portioned organic meat. 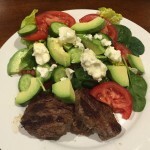 McClure & Daughter’s Organic Eye-fillet with baby spinach, tomato, cucumber, fetta, olive-oil and himalyan sea-salt. 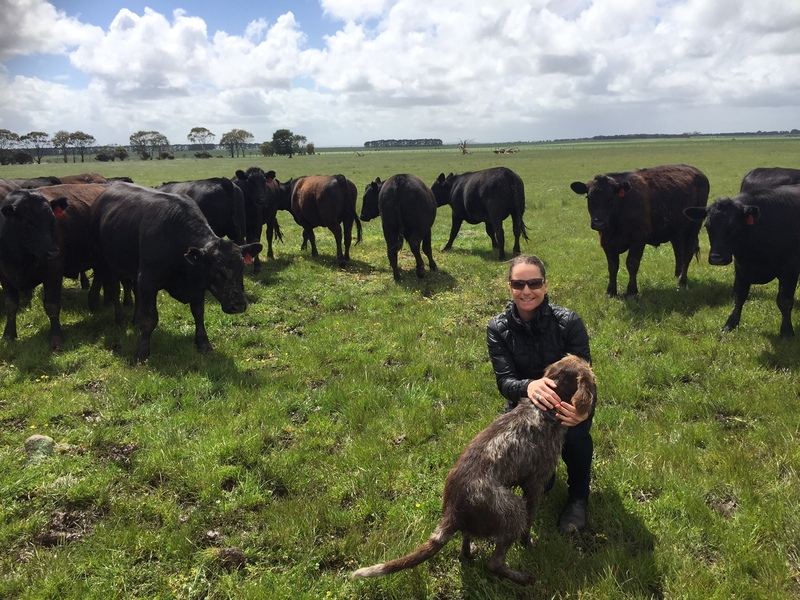 We at Rural Organics are passionate about health and wellness, we don’t like nasty chemicals and we care about the treatment of animals, soil and environment, which is why we are so passionate about Organics. Many of our customers, clients, close friends and family have been loving the taste of our organic meat for years and asking us where we can get more….. 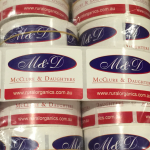 So now we can finally tell you, ‘McClure & Daughers’ Organic portioned meat is here! 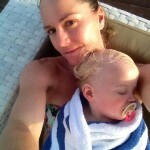 Alice, Janie’s middle daughter has been the driving force behind this new venture. 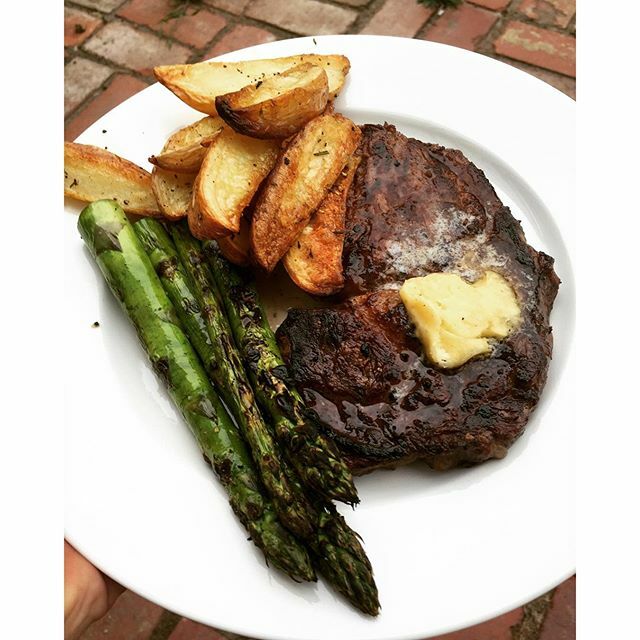 McClure & Daughter’s portioned meat is available at boutique butchers, fruit, vegetable, grocery stores and supermarkets such as Toscano’s of Kew, Commercial Meat’s at Camberwell Markets, TOM’S South Melbourne Markets, P&A Organic Meat’s Magill Road in Kensington, Adelaide. 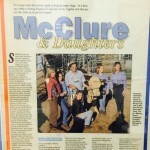 This entry was posted in Uncategorized on December 8, 2015 by ruralorg. 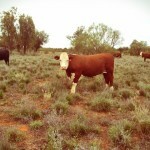 baldy steers from Janie McClure’s outback property. 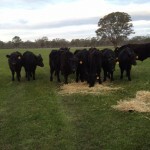 of time and already plan to trade them into Rural Organic’s markets. 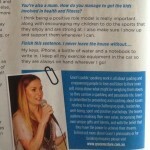 “time givers” to the the Dadswell and Horsham community. 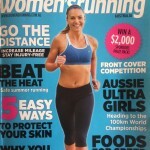 Rural Organics Director and motivational speaker Grace is on the cover of this month’s Women’s Running Magazine. 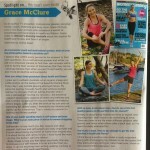 Grace is passionate about organics and a healthy lifestyle. 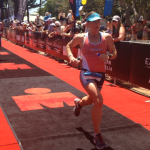 When asked what she wanted to achieve before last weekend’s Mandurah 70.3 Half Ironman Triathlon, Caroline replied…..
…And win she did, with a great race in Personal Best time over the 1.9km swim, 90km cycle and 21km run. 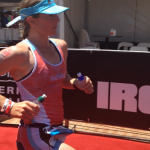 Despite the hot weather, she triumphed in all three disciplines and as always – was especially strong in the run. Congratulations Caroline. 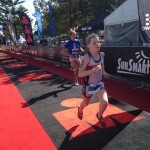 It wasn’t only the adults who had some fun.. Charli and Lilli also competed in the kids ironman and did very well, no doubt inspired by Mum, Caroline. 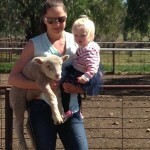 Alice and Baby G – made the trip over from Melbourne to support and encourage and had a great day with Avon Rayner’s family. 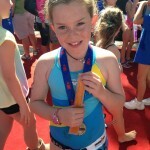 Caroline has been working with great success with coach Pete McKenzie. Congrats Liner!